LaraSound - Autopilot Music Search Engine - CODELISTPRO | Free Premium Scripts, Plugins, Apps Source Code. 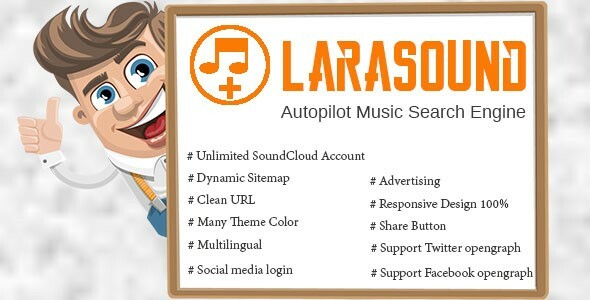 LaraSound is Autopilot Music Search Engine, with this script you don’t need save any mp3 file to your hosting because this script using SoundCloud API. with this script users can search tracks by Artist name, Title or Album name. and in admin dashboard you can setting your site.